Accidents on vessels are often catastrophic, leaving families struggling with medical bills, emotional distress and lost wages. For more than 40 years, Lipcon, Margulies, Alsina & Winkleman, P.A. has been fighting for the rights of injured passengers and crew members. Our attorneys are leaders in the field of maritime law and have an in-depth knowledge of the Jones Act, seaman’s rights and the laws surrounding cruise ship injuries. If you have been injured while on a cruise ship or working on a vessel, our attorneys are committed to helping you get the compensation that you deserve. The complex laws and rules that govern maritime law are complicated to navigate and often favor the cruising industry and vessel employers. 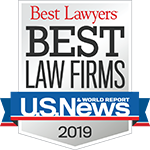 Your employer and the big cruise lines have experienced attorneys representing their best legal interests—so should you. After an accident, the first thing you should do is retain a lawyer who will fight for your rights and has experience in the substantive laws and procedural nuances of admiralty law. Your claim could entitle you to compensation for not only economic compensatory damages—including medical expenses and lost wages—but general damages such as pain and suffering and loss of consortium. Due to short deadlines, you have only a small timeframe to take legal action. After the statute of limitations has passed, you cannot file a lawsuit to recover damages for your injuries. For cruise ship passengers wishing to file a personal injury claim, the statute of limitations can be as short as one year and require written notification of the claim to be presented to the cruise line within 6 months. If you were injured on a cruise line, check the language printed on your cruise ticket. The ticket may state that all claims must be filed in Florida, and require cases to be filed within one year of the date of injury. For maritime seaman’s claims involving personal injury or death, the statute of limitations is generally three years. These statutory filing deadlines mean one thing: you need to act quickly when you are filing a seaman’s claim or a claim against a cruise line. Do not delay in seeking legal assistance. Getting in touch with our attorneys is easy. Whether you are overseas on land, cruising in international waters, or stationed in a local port, a maritime lawyer is just a phone call away. Download our App – It’s Free! Our law firm is stationed in Miami, Florida, major hub for cruise ships from all around the world. This ideal location makes it easy for us to ligate cases. We have developed key contacts in Miami who can assist with the progression of your case. Although we are based in Florida, we regularly litigate in other States and represent clients throughout the world, so get in touch with us today to begin working on your case.